Atlantic Gold Corporation (TSX-V: AGB) is pleased to provide an update of results for its resource extension drilling program at Cochrane Hill Gold Deposit. The recently completed diamond drilling at Cochrane Hill continues to confirm extensions to the mineralization defined by the Phase 3 Resource Definition drill program, completed earlier in 2018 and supports other recently published results from the program. Cochrane Hill is located approximately 80km northeast of the Company’s central processing facility at the Moose River Consolidated Gold Mine. Cochrane Hill’s current Measured and Indicated Mineral Resources stand at 10.66 million tonnes at 1.16 g/t Au for 398,000 oz. at a 0.35g/t Au cut-off grade. Inferred Mineral Resources amount to 1.63 million tonnes at 1.32 g/t Au for 69,000 oz. at a 0.35g/t Au cut-off grade (see the Company’s announcement on January 29, 2018)1. The Phase 3 Resource Expansion drilling program at Cochrane Hill was completed in January 2018, with 44 holes for 6,900m having been drilled. The Cochrane Hill deposit is a fairly predictable and continuous tabular body dipping about 70o to the north with an average true width of approximately 20 to 25m. Holes were drilled on 25m x 20m centers to test for resource extensions of this mineralization eastwards and at depth to the northeast. The results of this program were announced in prior news releases; however, these results were not included in the resource estimation referred to above (See Company announcements on March 15, 2018, and April 4, 2018). Recent drilling, totaling 16,242m in 70 holes, was designed to test potential extensions to defined resources. This was completed over a 475m strike length between Sections 2975E – 3450E. Initial assay results were included in previous news releases (See the Company’s announcements on December 5, 2018 and January 21, 2019). The results for additional holes are included herein (Table 1) and shown on the attached cross-sections. The final drill results are expected shortly and will be released when received. 1The Mineral Resource estimate for the Cochrane Hill Gold Deposit is quoted at a cut-off grade of 0.35g/t. It has an effective date of July 20, 2017 and was prepared as part of a technical report entitled (Moose River Consolidated Project, Nova Scotia Canada, NI 43-101 Technical Report on Moose River Consolidated Phase 1 and Phase 2 Expansion), in accordance with NI 43-101 by Mr. Neil Schofield, a principal of FSSI (Australia) Pty Ltd, released on March 15, 2018, on SEDAR. Douglas A Currie, P. Geo., General Manager-Exploration, a Qualified Person (QP) as defined by National Instrument 43-101, has reviewed, verified and approved the contents of this news release. 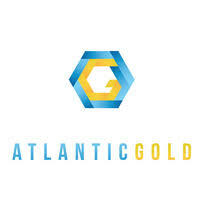 Atlantic is focused on growing gold production in Nova Scotia beginning with its MRC phase one open-pit gold mine which declared commercial production in March 2018, and its phase two Life of Mine Expansion at industry lowest decile cash and all-in-sustaining-costs (as stated in the Company’s news releases dated January 16, 2019 and January 29, 2018).